I have LOVED highlighting for about a year now. It all started with my beloved Mary-Lou (reviewed right here if you’re interested) and the love is still very much alive! There is something so beautiful about adding some subtle highlighter to the face that just lifts and brightens your appearance ^_^ Highlight is good all year round but to me it’s especially pretty during spring, when makeup is generally worn light and the more light/radiance from your face the better! Today I’m going to review this baked bronzer by Accessorize. Its the only product I’ve tried from their range, as I’ve not heard much about their makeup range and honestly I think the packaging kind of put me off?? As pretty as it is, I always thought it was aimed for early teens, but just like you shouldn’t judge a book by it’s cover, this experience has proven to me that you shouldn’t judge makeup by its packaging either! After a quick search online I am annoyed to report that I cannot find this on the accessorize nor the Superdrug website. However I know that I bought it on special offer in Superdrug for around a fiver and you get 12.5g of product! How very generous right?! The packaging is pretty chunky, but still lightweight considering how much product you get, so that is totally forgiven by me! The bronzer duo comes in several shades, I think I have the darkest/second darkest one. Honestly I don’t tend to use the ‘bronzer’ side very much because I like my bronzers to be totally matte, or matte with the slightest of shimmer. This stuff is not sparkly but it IS shimmery, so it catches the light and gives a very pretty glow (as long as you don’t over apply it!) Therefore to use the darker side as a bronzer would mean my face WOULD end up resembling an orange disco ball - and I don’t think anyone likes that look! But lets move on to the real beauty of this…the highlighter side! The number one thing I love about the highlight is it seems to give JUST the right amount of product. Sometimes with Mary-Lou I can over-do it as that stuff is super pigmented. This highlighter however adds just enough to properly highlight, so it’s great for when you’re in a rush and need a quick pick-me-up product! The powder feels pretty hard, but when touched it becomes soft and with no fall out which is always a bonus. Again the size of this means it’ll last for ages, and should be in my collection for a while. The colour itself has more of a champagne-esque tone to it than the typical silver colour (though when swatched/applied heavily silver will be apparent) and that is another reason why I ADORE this stuff, because the shade is so complementary to my NC30-35 skin tone. If you have yellow undertones/olive skin/a tan, this will look radiant on top of your cheekbones! I think I became so obsessed with my Mary-Lou that I dismissed all other highlighters, however in the past few weeks I’ve really started to appreciate how soft and subtle this is, yet how beautifully it does highlight. I don’t own MAC’s soft and gentle but to me this seems to be a dupe and hopefully one day I’ll be able to swatch them side by side to see! 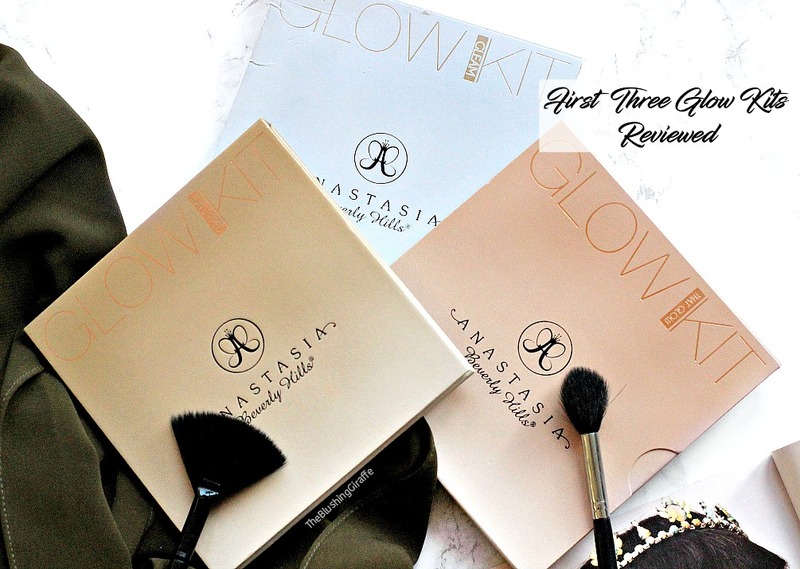 I think these are really underrated, and I encourage you to check them out next time you’re in a larger Superdrug store, especially if you’re looking for a fool proof highlighter (although do be warned if over-applied you will still look a little cray). Although high pigmentation is normally always a good thing, this to me has average pigmentation which is a good thing because no-body wants to be walking around with a metallic face. On my skin this lasts fairly well, I certainly don’t notice it fading away quickly. Cons: I have no use for the bronzer side so a little bit of a waste there unfortunately, which is why I had to knock it’s overall rating down. Oh how I wish the whole thing was the shade of the highlight! Repurchase? Yes! Although I doubt I’ll be out of this stuff any time soon! And I’d probably pick up another shade to try, but the overall formula/finish and price of this get a big thumbs up from me! Honey Fried Bananas–quick, sweet AND healthy!